If you are in the market for new dentures or dissatisfied with your current dentures, Dr. Ducasse can help guide you in the right direction. 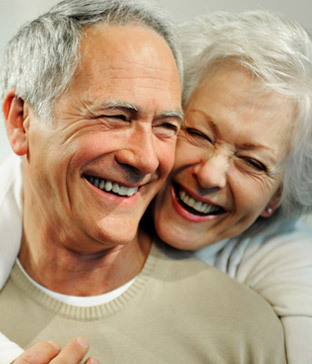 Dentures are removable artificial teeth that replace your natural teeth and gums. 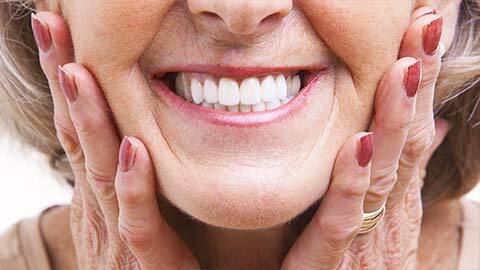 All dentures are removable and have a tendency to move. 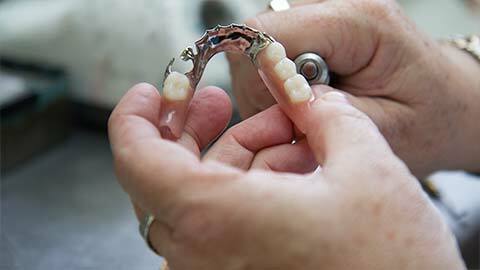 To achieve stability, partial dentures need to be clasped to the natural teeth. Whether full dentures (replacing the entire mouth) or partial dentures (replacing one or more teeth), they can be made to appear quite natural using the latest artificial teeth and acrylics. Once you determine that dentures are right for you, book a consultation and an appointment with Dr. Ducasse to talk about the process of having dentures custom made for you. During your next visit, our dental clinic will make a model of your teeth and create an impression. This impression model will be used to custom-make your dentures. Full dentures (or complete dentures) are a complete set of dental prosthesis used, when all the teeth are missing, to replace all natural teeth on the whole arch or the whole mouth. Also known as false teeth. They use suction to be held in place. Partial dentures are a set of removable artificial teeth (usually one or more teeth) and gum replacements. Also known as a dental plate or partials or removable partial denture prosthesis. When teeth are not strong enough to keep a bridge, partials are used. Partial dentures may be removed and cleaned at night. If you are considering replacing your missing teeth, contact our office to discuss which options are right for you.